Looking for latest fashion trends that Bollywood celebrities are crushing on? Street style is the new trend that seems to have picked up and found followers all across the world. It’s quite tricky to remain fashionable on the run and keep the luxury quotient high. It take a lot of effort, doesn’t it? 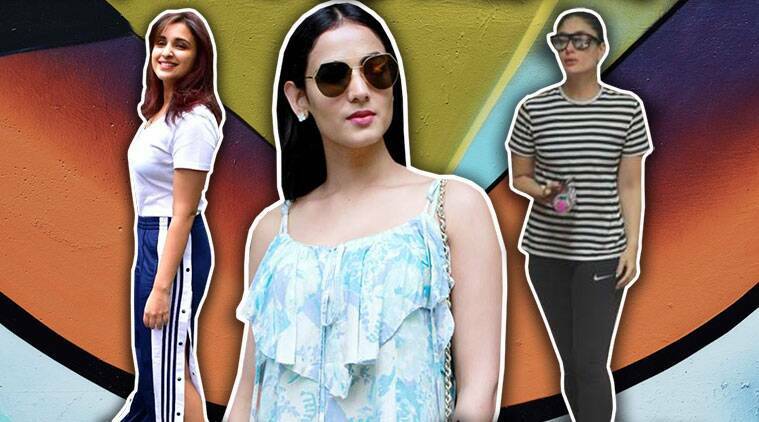 In today’s list, we have Kareena Kapoor Khan, Parineeti Chopra and Sonal Chauhan giving fashion goals in casual wear. The Meri Pyaari Bindu actor wore slit athleisure pants and paired it with a basic white top after a salon session in Mumbai. Chopra’s red streaks and brand new hairstyle were the highlight of her look and made it super stylish. She carried an adorable tan backpack and wore white sneakers to round off her look. 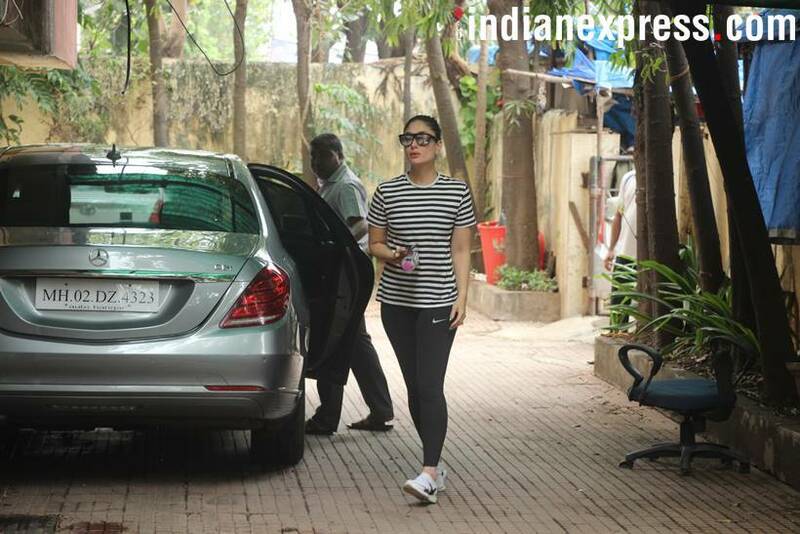 Stripes are never out of fashion and Kareena Kapoor proved it right yet again when she was spotted outside the gym in Mumbai. Wearing black track pants and a basic black-and-white striped top, Khan seemed all set to hit the gym. Jannat actor Sonal Chauhan was spotted in a floral sea green-and-white mini dress. Her look seems to be the perfect solution to beat the summer heat and is also apt for a lazy Sunday brunch. She rounded out her look with cool shades and centre-parted hair. Which of the three looks did you like the most? Let us know in the comments below.